Removable appliances similar to Invisalign have been used for years by orthodontists and dentists in small numbers. With the application of technology and manufacturing, Invisalign is able to treat more precisely and for more people. Using 3-D imaging we are able to create a plan from the initial position to the final desired position from which a series of custom-made, clear "aligners" are made. Each aligner moves your teeth in small amounts and is worn for about two weeks, then is replaced by the next aligner until the final position is achieved. Invisalign straightens your teeth without anyone knowing. You can eat and drink what you want during treatment by simply removing the trays, unlike traditional braces. You brush and floss normally. There are no metal brackets or wires to cause irritation, meaning you spend less time in the doctor's chair for adjustments. As the patient, you can view your virtual treatment plan before you start allowing you to see how your straight teeth will look when your treatment is complete. The aligners are clear, strong medical grade plastic that is virtually invisible when worn. Aligners look similar to tooth-whiteningtrays, but are custom made to move teeth. Some have referred to them as "contact lenses for teeth." Align Technology, Inc., the company that manufactures Invisalign, was founded in 1997. Since then, Align has manufactured over 32 million aligners and 730,000 patients have received treatment. Dr. H.D. Kesling envisioned this system of aligners in 1945, but it took more advanced computer technology to make this vision real. Align crafted Invisalign®, a series of customized clear appliances called "aligners." Each aligner is worn sequentially by the patient to produce extensive tooth movements in both upper and lower arches. Was my doctor specially trained to use Invisalign? Specific training is needed. 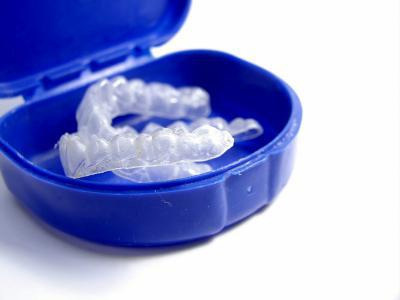 The Invisalign company will not accept orders from orthodontists or dentists who have not completed training. Close to 50,000 orthodontists and dentists worldwide are certified to use Invisalign. Invisalign aligners move teeth through appropriate placement of controlled force on the teeth, just as braces pull on teeth. The difference is that Invisalign not controls the force, and controls the timing of the force. At each stage, only certain teeth are moved, and these movements are determined by the orthodontic treatment plan for that particular stage. This results in an efficient force delivery system. Yes, in August 1998 the FDA determined that Invisalign is exempt from 510(k) pre-market notification. Invisalign Express is designed to correct mild problems such as minor crowding and spacing. Ask your Invisalign certified doctor, Dr. Pak, for more information on this new treatment.